HIRING INFO - Available seafarers jobs, seaman direct hire, seaman job vacancy 2019, domestic seaman hiring, urgent job hiring for seaman working on oil tanker vessels. Astor Shipmanagement has wide crewing experience in ship management, as well as established routines for the careful processing and checking of documents in the selection of crew for different vessels types. Quality of our services and a variety of vacancies – this proves us as A successful and stable agency that provides clear transparent information. 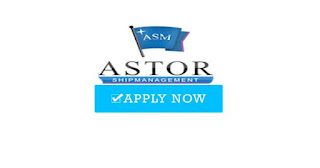 Astor Shipmanagement successfully works with shipping companies around the world and recruits staff for ships of different types and in different jurisdictions. Astor Shipmanagement seeks professionals with different types and levels of education, as well as different specialties for maritime work as well as land-based positions (in collaboration with our partners). We seek to further develop your existing skills to secure highly paid positions on vessels of Astor Shipmanagement, vessels of our partners, as well as positions on land. Careers in the maritime industry have always been attractive to many people due to the high degrees of responsibility, as well as good wages. 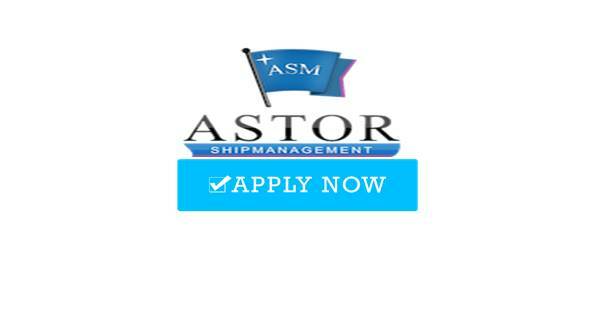 Astor Shipmanagement will be happy to provide assistance in the development of your potential in the maritime career. Let the dream come true. 0 Response to "Hiring AB, OS, Cook, 2/E, C/O, C/E For Oil Tanker Vessels (Worldwide Jobs)"